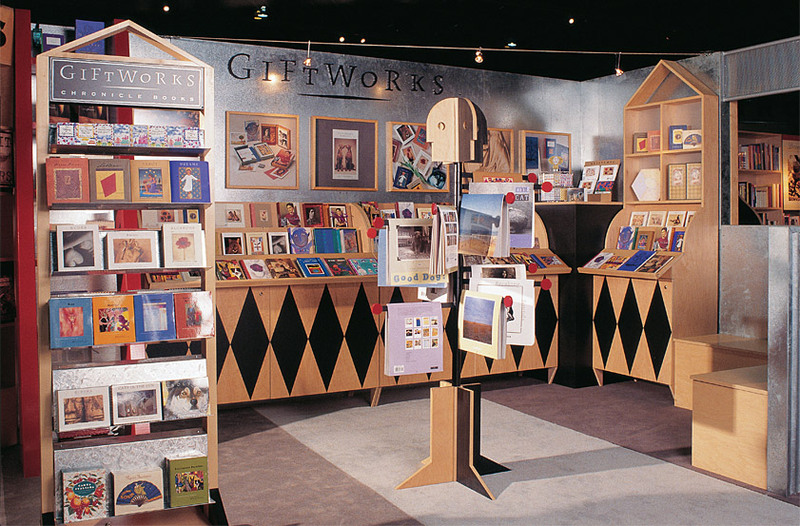 The Chronicle Books GiftWorks division creates greeting cards, appointment books, and calendars. 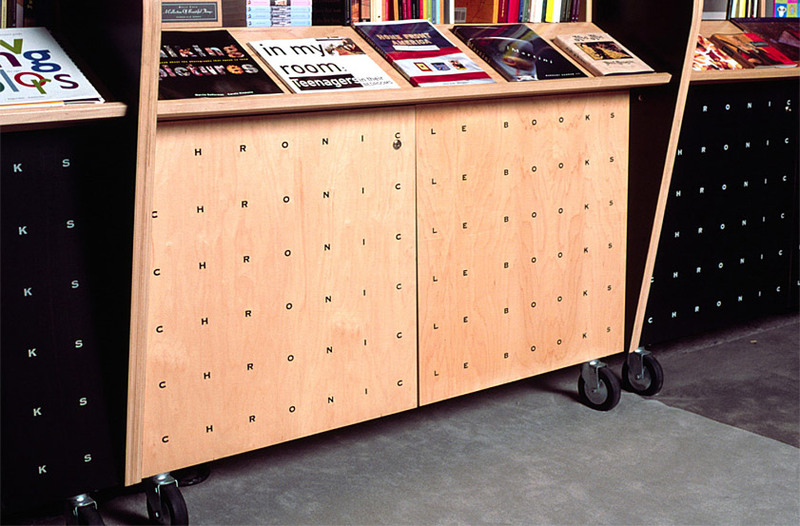 Our solution for the firm’s 10' x 30' exhibit uses display units inspired by the design of roll-top desks; appropriate for the display of desktop-related items. 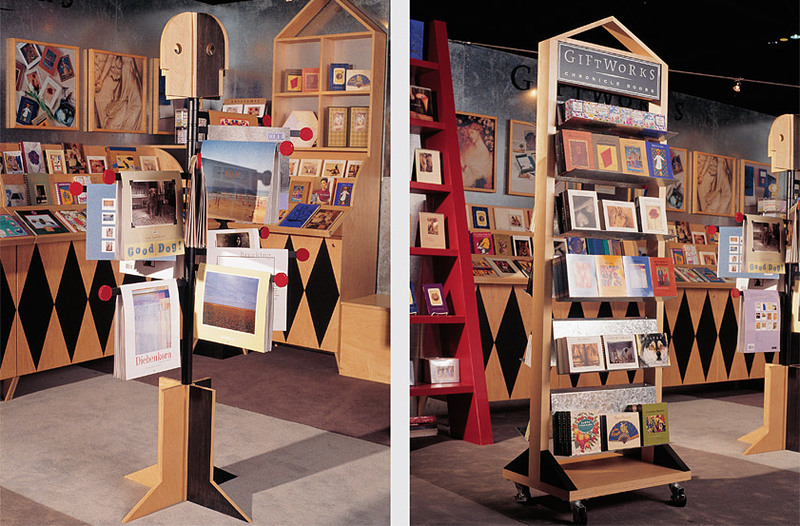 A four-headed “man for all seasons” calendar display allows products to be viewed from all directions. 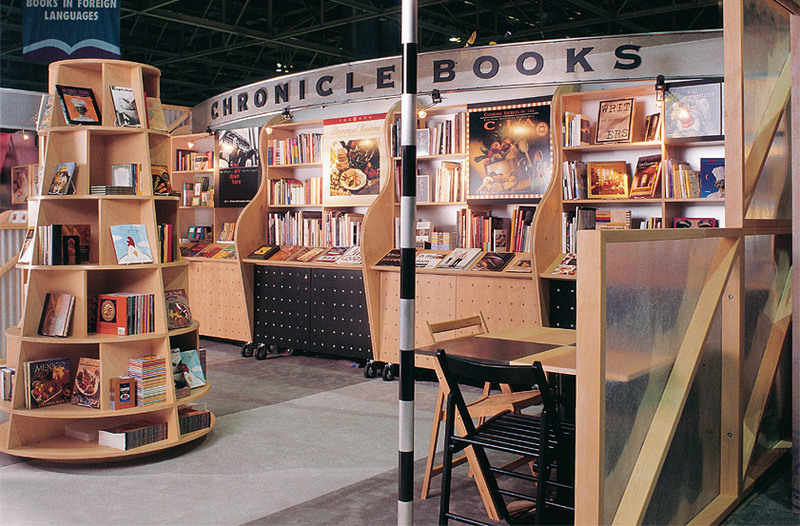 Modular display units roll out of their crates and are ready for use with a minimum of exhibitor setup time, forming the profile of a human figure when configured back-to-back.